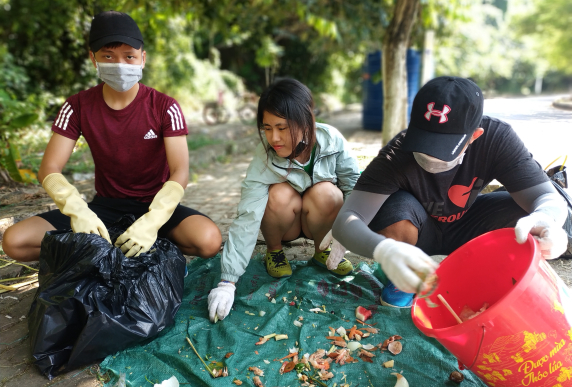 Staff from Hanoi-based NGO Greenhub and Quang Ngai-based tourism company Doan Anh Duong audit waste from a restaurant on Cat Ba island in Ha Long Bay. Will you chip in to help us meet our goal of raising $1,000 this #GivingTuesday? Every gift helps. Your #GivingTuesday donation will help support 4 waste audits in January 2019. Because they are a critical first step to designing zero waste solutions that will help cut down on ocean plastic pollution. By sorting through hundreds of pounds of trash per audit, we and partners can create site-specific waste reduction plans that increase recycling and composting and cut down on the amount of trash that needs to be landfilled—thus also reducing the amount of plastic that might leak into the ocean. 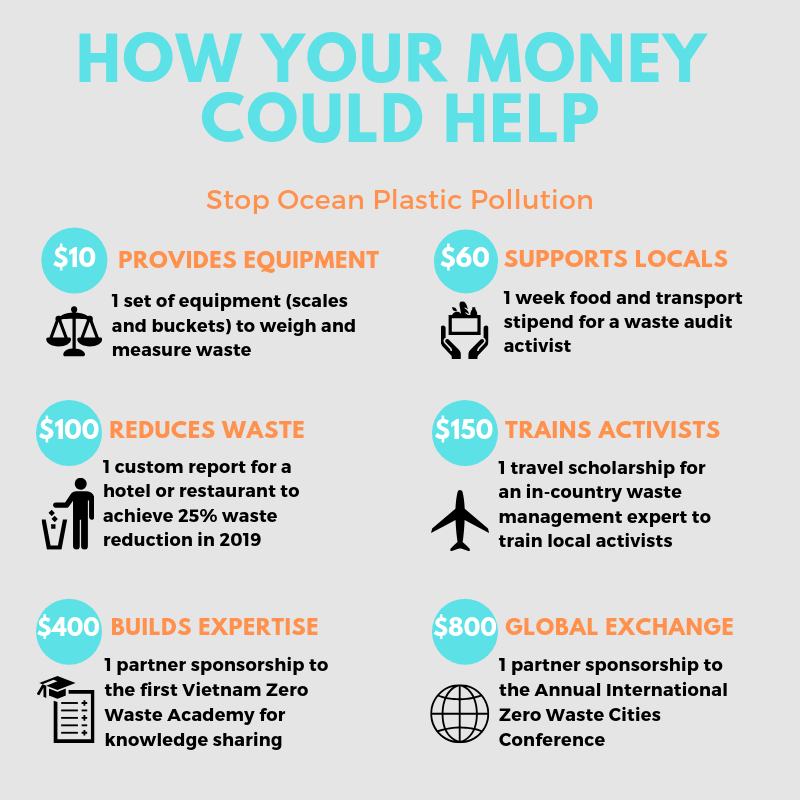 Your gift, large or small, gives us the funding we need to help support local activists to create a zero waste future in Vietnam. Make a difference this #GivingTuesday. You can double your impact by donating through our Facebook fundraiser. Starting at 5am Pacific Time today, November 27, Facebook and PayPal will match gifts made through Facebook fundraiser pages until their $7 million matching funds run out. Donate through our Facebook fundraiser page, or create your own and share with friends!